While all the Final Fantasy madness in September 2018 mostly came screaming out of a Nintendo Direct, there was plenty of PlayStation goodness to go along with it. Part of that is World of Final Fantasy Maxima, an update to the original monster collecting (and stacking and battling) game that adds new Mirages (monsters) and Champions (cutesy legacy Final Fantasy characters). Thanks to Tokyo Game Show 2018, there’s a new trailer for this game that shows off the English voice acting, reconfirms the release date and shows off the new content in action. Here is that TGS 2018 trailer. One of the big new features is the Avatar Change, which allows you to morph the original, new lead characters into said Champions from Final Fantasy history. Previously, they were just available as summon attacks. New characters include Zack from the Final Fantasy VII series (that’s so weird to type out) and Noctis, the lead from Final Fantasy XV. Noctis is particularly notable, because there’s a new fishing minigame he’s naturally front and center for. The video’s description on the official Final Fantasy YouTube channel also confirms the game as a DLC add-on for customers in North America who already have the original on PS4 or PC via Steam, which was previously just known about via the game’s Japanese website. 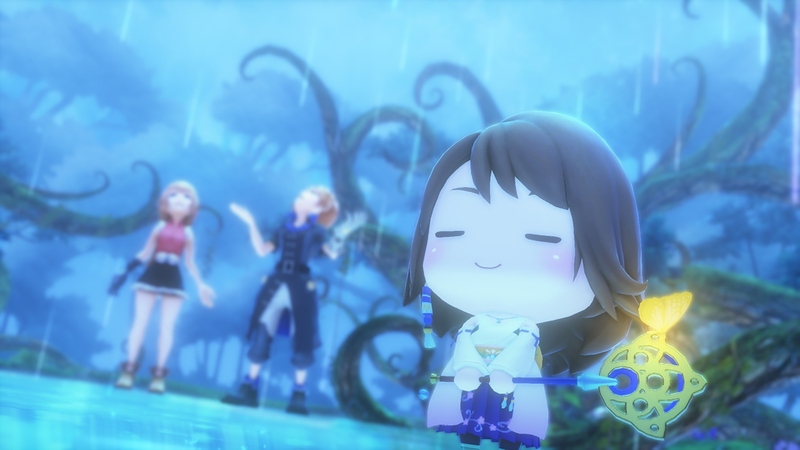 World of Final Fantasy Maxima drops on November 6, 2018 for the PlayStation 4, the Xbox One, the Nintendo Switch, and the PC.